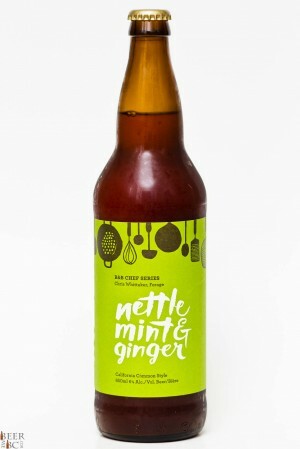 R&B Brewing Company has kicked off their Chef series of beers by working with Chris Whittaker of the Vancouver based Forage Restaurant to brew the Nettle, Mint & Ginger California Common. 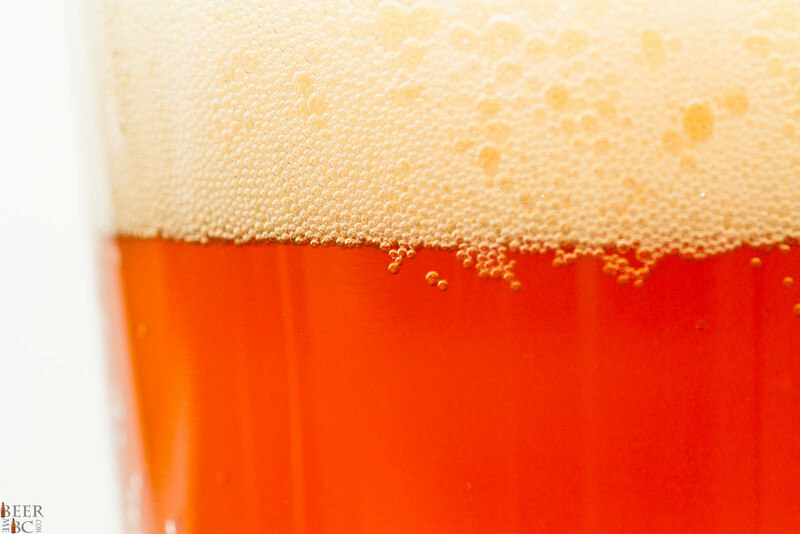 This unique and local flavour inspired beer pours an amber colour topped with two fingers of finely packed, lightly lacing head. 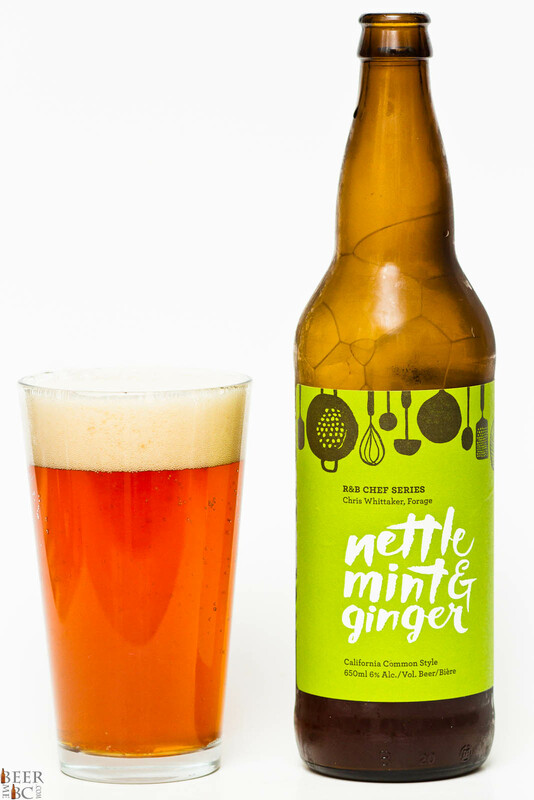 The aroma from this ale smells strongly of ginger with the crisp, freshness of mint along side with a touch of sweetness. The Nettle content is not overly present but then again, most people probably do not know what nettle smells like. The flavour is rather gingery with mint to lighten the mood. 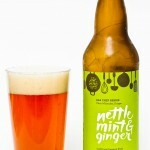 The Nettle actually comes out rather strong with a bit of a Dandelion-esque flavour to it. 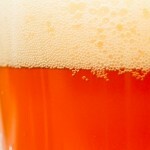 As unique and slightly odd as the flavour is it has a freshness and green sense to it which makes it rather refreshing. This may not be a beer to session through the afternoon but along side a fresh salad or enjoying a glass on a warm summers evening makes this not only a great tasting craft beer but also a local, fresh and inspired flavour experience.